While teeth are meant to be permanent fixtures in the mouth, people will often lose a tooth for different reasons. Accidents, injury, and periodontal disease are the most common causes for tooth loss. After a tooth is lost, many people mistakenly believe that they do not need to do anything about the gap in their mouth. This is generally a misconception that can have dire results. After a tooth is lost the bone’s strength is compromised, making surrounding teeth very susceptible to becoming loose and falling out. At Gold Hill Dentistry, we offer dental implants as a permanent tooth replacement solution. Dental implants are extremely beneficial to the entire mouth, not only for aesthetics but also for the health of the teeth surrounding a missing tooth. Dental implants function like natural teeth. They are surgically implanted into the jawbone to restore the bone and support the remaining teeth. Unlike dental bridges and crowns, dental implants are a permanent solution for replacing missing teeth. The anchors are secured in the jawbone, and the jawbone will begin to adhere to the anchors just like natural teeth. This is what makes dental implants so revolutionary in dentistry. Implants enable patients with missing teeth to eat, laugh, smile, and speak with confidence. At Gold Hill Dentistry, we are proud to offer patients top quality dental implants. 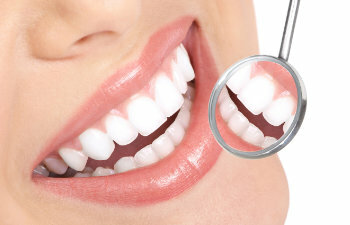 We are a comprehensive dental practice that delivers individualized patient-centered dental care because we know that every patient has unique needs. Gold Hill Dentistry is currently accepting new patients, and we look forward to helping you achieve a full, beautiful smile. Contact us today to schedule a consultation.